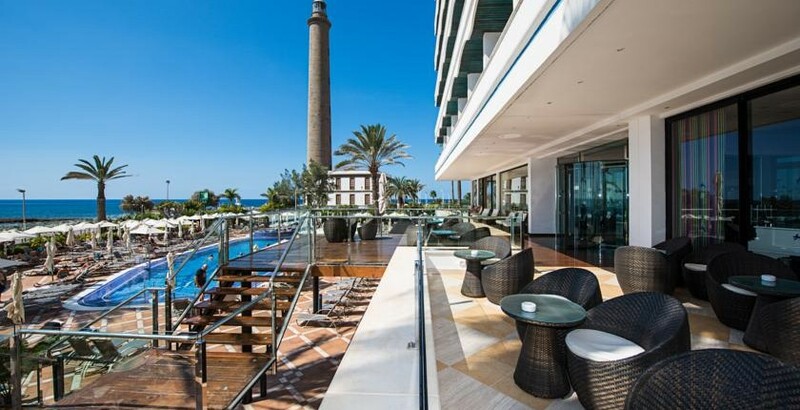 Overlooking the beach, this modern, upscale hotel with a portico is a 1-minute walk from the 19th-century Maspalomas Lighthouse and 6 km from Aqualand Maspalomas water park. Relaxed rooms feature en suite bathrooms, satellite TV and sitting areas, plus minibars and furnished balconies. Upgraded rooms add sea views. Suites offer whirlpool tubs and living rooms with 42-inch flat-screen TVs. Room service and Wi-Fi is available for a fee.